To be fair, unlike other issues, they did want to keep the vampire coast as a surprise. Could you try and reformat in a way where this actually makes sense? Because right now all I get from this is that you're angry over something that CA of course did entirely wrong. But that's like shouting "THIS DAY ENDS IN THE LETTER Y!!!" in a booming voice, as if proclaiming something profound. Currently half the people posting on this board appear to be angry about something or other that CA did. And a few are angry about everything CA has done and think WH2 is a rubbish game and don't even play it anymore, yet still hang around to post negative comments. What I mean is, if you want to write one of those negative "CA sux da Skaven testicles" topics then at least be specific enough that readers know exactly what sort of angry person you are. Anyway, just a suggestion. Have a nice saturday evening, or whatever it is in your time zone. and look where that got them thanks to hints pointing out to everything and nothing in the same time. Remember Charybdis? Just pointing out to the lovely communication CA is capable of doing, but for some reason cannot do it even if they life depended on it when it comes to WH. I think you are being a bit unfair. 3. That it feels as though we are being artificially starved of the content we want in order to booster sales of a forthcoming flop that we never wanted and didn't ask for. I am not currently playing, I grant. But again the reason that I am not playing, is because CA said 'we have a beta here that breaks campaign saves'. So I decided to wait until after the beta patch went live - because I don't want to invest hours in to a campaign only to find out my save breaks tomorrow. If they had said 'oh we are going to leave it in beta forever' or even let us know ANY TIMESCALES FOR ANY CONTENT EVER then maybe I could have made better plans. Pay pig, how dare you think about Warhammer when we want to force feed you this fine 3K product. Here, say 'aah' and take a spoon of CA fat. You bought them sea mosquitos? Great, now go back and admire character posters for the next 7 months. Considering that 3 Kingdoms is now very close to release, there's nothing particularly incongruous about CA shifting towards promoting the upcoming game. 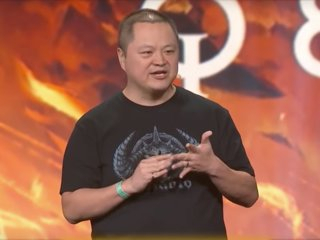 On the other hand, there's no announcement for Warhammer and we're not going to see any releases before the release of 3 Kingdoms. The only noteworthy thing is that the patch will come out of Beta this month and that's already been conveyed. So what exactly are you expecting for Warhammer? That CA abandon all other projects and focus solely on quickly churning out content for that one game while ignoring the rest of their games including ones on the cusp of release? How dare CA make a game not based on Warhammer and focus their marketing on it before it's release? CA will only communicate with the respective fanbase that they're expecting some money from. Warhammer will have to wait their turn. If 3K didn't have an awful marketing that caught everyone's ire, we would still be seeing daily posters from them with no promise of gameplay. Once people were generally confused, CA decided to show them something substantial starting next week as promised by them. Warhammer is not getting anything until 3K releases. If we didn't complain about the amount of bugs in the last DLC, we could have ended up with no hotfix beta until the next DLC again. It's still not certain if the bugs introduced in it's current beta will be fixed in time it goes live this month. I hope so. CA only seems to listen when enough people cause noise. Remember Summoned units collision bug, ME launch with Vortex spawning AI, Beastmen razing sprees, non DLC owners not having access to base buildings and the reinforcement bug? Well ideally I expect them to finish what they started and not decide to pull a Telltale which would stretch their teams on too many projects at once, but I might be expecting too much from them. I am genuinely surprised they did not do more ''let's play'' or something similar instead of throwing money at a flashy trailer that does not show anything, but I wouldn't be surprised if that is simply because they are afraid the gameplay would be too buggy and it would R2 disaster all over again . Do you not have multiple teams? Seriously though, the decision for them to not release anything to not upset 3K sales with existing total war fans playing warhammer is perplexing. We are *keenly* aware of the desire for more gameplay content, to the point that Wheels, Tom, Jordan, and Guy, are all working away on Let's Plays right behind me, as I type this. Because we know it's so important to you, we're going to be putting TWL on hold until we get over this production hump, just so that we can focus on delivering these vids to the community ASAP. The holiday gap is now behind us, and we're all back in the studio, hard at work. Thanks everyone, and we're looking forward to sharing more soon™. This was posted recently on the 3K forum in one of the threads asking for gameplay info. Is anyone from an Asian country reading this stuff? I'm actually very curious if you guys are getting different marketing than Euros/Americans are and if so, whadda ya think about it? I love how the discussion on that thread is about how the reaction of Warhammer only fans upset that CA are focused on 3k is embarrassing. I tend to agree with those folk. CA's all about it's new game right now and that's completely fair enough. Post after post of CA bashing, singling out employees, negativity to the game mechanics as if its "broken", and now emo nerd rage over them releasing a new game. Are some people really that shallow? The sense of entitlement of some is staggering. Good job I am not a moderator, you'd be long gone, every one of you. Your Salty tears will yield you no benefit! The Greatest Total War game to come! Warhammer is inconsistent and weak! How did I single out an employee when I responded by directly quoting to prove a user wrong regarding no let's plays, when my quote is directly referencing an official response regarding what the user was asking? This "sudden" bashing or negativity didn't pop out of thin air and isn't exclusive to this forum. I'm talking this past few weeks on here and whats been going on, and this is just another troll thread among them. It's a valid complaint. I'm not one to support baseless bashing, but it's clear to me that CA have dropped the ball on everything, from neglecting warhammer to not properly showing 3K to the public so close to release. I don't think anyone agrees that everything is fine and we should not speak about the current issues we're seeing for ourselves. For whatever reason when I read that, it was in Kim Jong-un's voice. SAVE US OH NOBLE KNIGHT! Whenever I see threads like this I think back to how "true" fans of the series talked bad about warhammer and how harshly they were being ignored for a trash game. Threats about how they were done with CA and TW because how dare they be ignored when they've played since x total war. If someone wants to buy 3K, he'll do it regardless of tw Warhammer 2 dlc. I assure you, we are very real. And we have come for you and your realm. The only reason you look to your neighbours bowl is to make sure they have enough, not to be jealous over it. There's no reason to be upset or jealous. Other TW fans are getting attention and that's great. It's not a reason to be upset. I'm moving this to rants and raves, where it belongs. so having some decent communication from the CA team on WH is being melodramatic? Lol interesting perspective. Not really that interesting especially when I said that at least one employee should be dedicated to warhammer communication and support. Melodramatic is when you get offended by someone disagreeing the tone of a conversation without even realizing that they agree with the subject matter. The only ones I disagree with are the historical game fanboys that pull the ''oh CA can't obviously do anything for us without the Warhammer crybabies ranting about it'' after specifically mentioning the communication as the subject but since most of them can't use their critical thinking they automatically proceed to just mock the thread instead. Not surprised though, they probably do not even know that TW is as historically accurate as Warhammer. On that side yes we certainly agree that communication should become a priority in Warhammer's case.